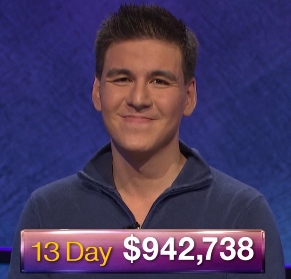 Barry Garron has teamed with Jeopardy! executive producer Harry Friedman to release a commemorative 35th anniversary book for Jeopardy!, published by Rosetta Books, titled The Jeopardy! Book of Answers. And I have to say: This book has things for both die-hards and new fans alike! New fans will appreciate the some of the more historical materials (including stories surrounding how the show came to be, how the Trebek version came to be, and various stories surrounding the tournaments) that may be old hat to longtime fans that remember the early-’90s books that came out about the show, but still fascinating to new fans. Longtime fans will appreciate the behind-the scenes interviews that have been given by many of the players in the games featured in the book. The book features the first game from back in 1984, the first game and last game of Ken Jennings’ streak in 2004, the two-day Celebrity Invitational Finals, the two-game Watson Invitational, the Battle of the Decades two-game final, as well as the two-game finals for the 2017 College Championship, Teachers Tournament, and Tournament of Champions. All of the clues have been taken from the show’s official database, which brings me to my favorite part of this book: Clues that were originally unrevealed when the game first played are revealed for the first time in this book. That in itself makes the book worth nearly any price. Thankfully, it’s available for $14.99, and I highly recommend that this book get purchased for the Jeopardy! fan in your life. 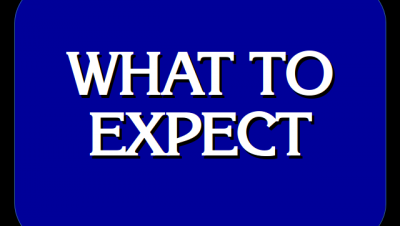 The Jeopardy! 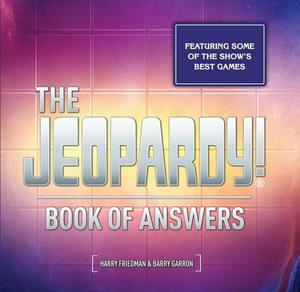 Book of Answers is available now from Amazon and The Jeopardy! Store. 1 Comment on "Review: The Jeopardy! Book of Answers: 35th Anniversary"